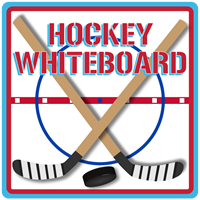 How are you using Hockey WhiteBoard? What new features would you like to see? We are looking to begin work on the next incremental update to all of the sports white board applications and would like your feedback. Please use the "Contact Us" screen to let us know what you would like to see. We are hoping to add animation and puck "attachment" in the next release, but what else would you like? Hockey WhiteBoard Version 2.0 has been released on the App Store! Use the "View in iTunes" link to the left to see it in the AppStore. Hockey WhiteBoard was the first application to be updated with the latest round of features available in version 1.7. This update was a long time coming as it incorporated features made possible with the release of iOS 4.2 (namely printing). I go to save a drill and there no button to save or go back? It is stuck. I have the iPhone 4. Hockey WhiteBoard has implemented the ability to save the white board to a file since Version 1.1 in 2009. When you are ready to save, you should be able to double-tap on the ice surface (when NOT in drawing mode; if you are in drawing mode you must double tap to exit drawing mode first) and see the configuration screen. At the bottom of the configuration screen there is a "Save..." button which, when tapped, will bring up the "Save Position" screen. If this is not the behavior you are experiencing, please email us at support@sandcrater.com and we'll help you troubleshoot! Come on it was for free when I got it and they took it off my home page. Don't get it. Dumb. Hockey	WhiteBoard	Version	1.x	had	always	been	sold	for	99	cents	(Version	2.0 raised the price to $1.99) since its introduction in March of 2009. I am not sure if this user may have received a promotional code for a free download (I have handed out a few of those). If anyone has any questions for me regarding this review, please feel free to email support@sandcrater.com. Hockey Whiteboard was conceived in February of 2009. That year I found myself as the assistant coach on my son's mite hockey team and frequently in need of describing basic positioning to seven and eight year olds. I can remember one specific instance where our two defensemen had come off the ice and were in need of a reminder as to how they should move when the puck moves in the offensive zone. I grabbed our whiteboard/clipboard, a dry erase marker and marked where the center, left wing, right wing and defensemen should be when the puck is in the corner in the offensive zone. They seemed to follow along just fine. However, I then tried to explain that when the puck moved to the opposite corner in the offensive zone (which I showed by drawing an arrow from the puck to the other side of the ice) the defense had to shift as well (drawing arrows from the two "D's" I had written on the whiteboard to show their movement). Their eyes started to glaze over and/or they just nodded at me to get me to stop talking so they could think about getting back on the ice. I couldn't say as though I blamed them. I'm probably not the best at explaining it either. At the same time I had been doing some work with iPhone programming and had come across some demo code from Apple called "touches". This demo simply had three colored boxes that you could drag around the screen at will. The purpose of the demo code was to show developers how to handle basic "multi touch" gestures on the iPhone. It struck me that if you could drag three boxes around the screen, why not a bunch of players on top of a picture that represented an ice surface? I got busy coding and had a prototype done in a day. It did not do much, just put 10 players on the screen (and a puck) and let me drag them around. At my son's end of the year tournament, I brought my iPhone on the bench and used it once or twice. Those same kids who had their eyes glazed over were now glued to the screen. Young kids really love seeing this stuff on the device and I had their attention. So, did that early prototype make a difference in our tournament? Well, our team did win the tournament, but I wouldn't give the credit to Hockey Whiteboard. What Hockey WhiteBoard did provide was another tool that could help teach the game in a way that was "cooler" than simply using a traditional whiteboard with dry erase markers. For fun, I cleaned up Hockey Whiteboard a little bit and put it up on the App Store. I sold a few here and there and got some good feedback that I used to make it better. Over time I added versions for soccer, basketball, baseball and field hockey. Today's version does so much more than that original prototype! Over the next two years I've heard from coaches at all levels who have used Hockey Whiteboard. I originally only envisioned it being used with younger kids, but I've heard from high school coaches, college coaches and even semi professional coaches that they use it and love it. If you've been a Hockey Whiteboard user for a while, you may recall that I issued an update last August which caused the application to crash on startup. This was an odd situation where something in Apple's distribution process caused a problem because my development versions (and the versions Apple used when reviewing the application) worked fine. I heard from coaches who were using it for summer tournaments and were most unhappy that the update had caused them to loose this tool! Fortunately, Apple fixed the distribution process, expedited and update for me and a new version that functioned fine was available in a short period of time. Hockey Whiteboard v1.7 was released in July of 2011 and incorporates new features available in iOS 4.2 and 4.3 such as printing and file sharing. The code base for Hockey Whiteboard has grown quite large and I believe it is time to do a complete re-implementation that will allow for a "professional" version (as well as the standard 99 cent version) that does much, much more. Stay tuned for details! Finally, thanks to all who have purchased Hockey Whiteboard and have given me constructive feedback to help make it better. I look forward to hearing from more of you!